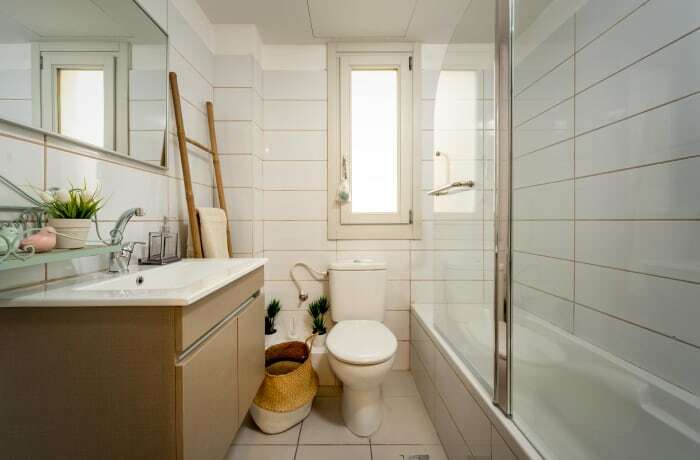 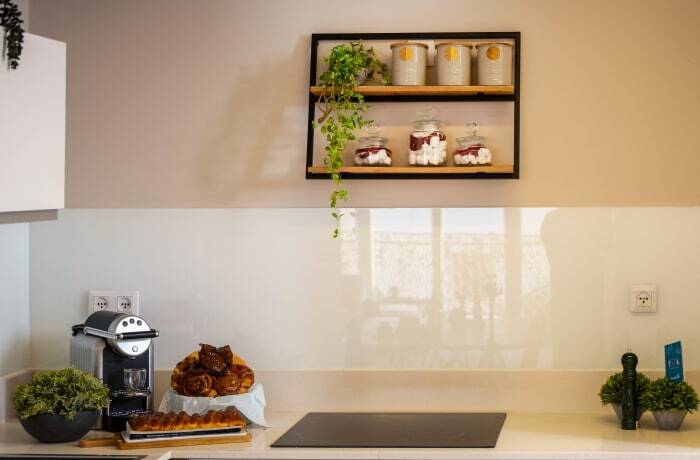 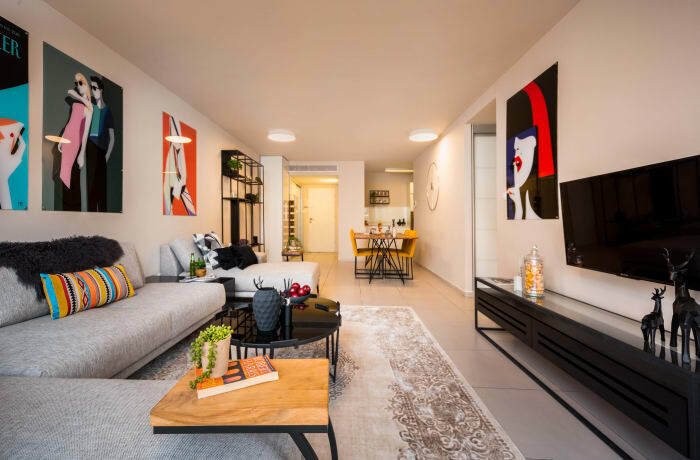 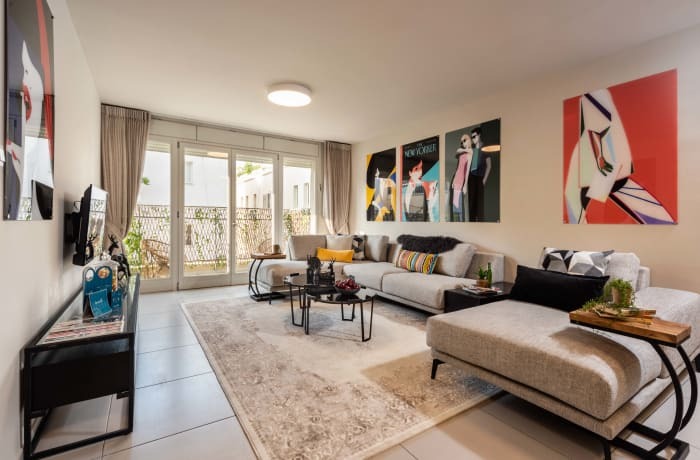 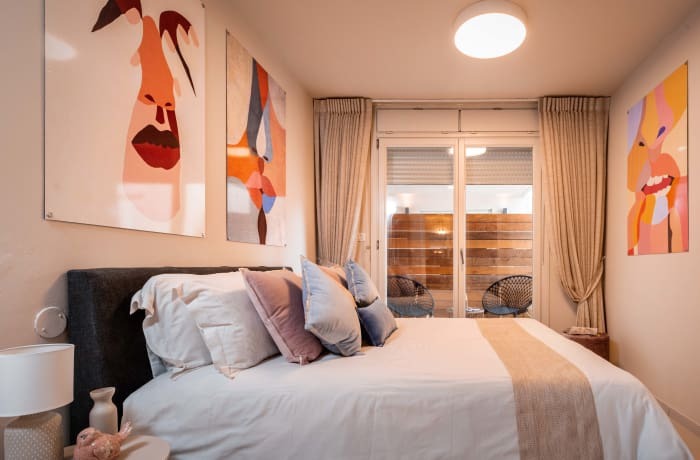 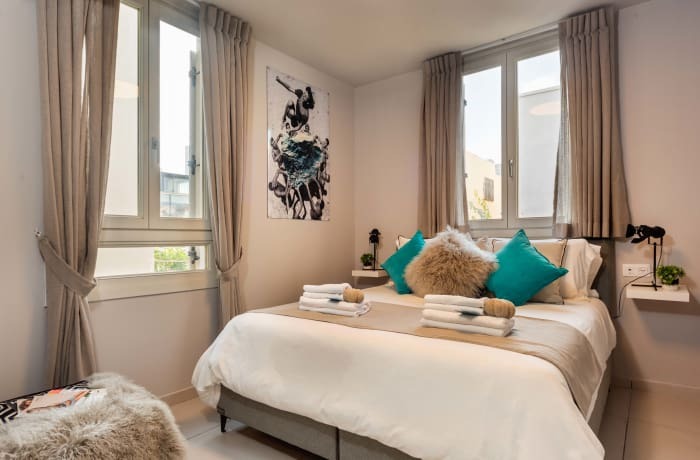 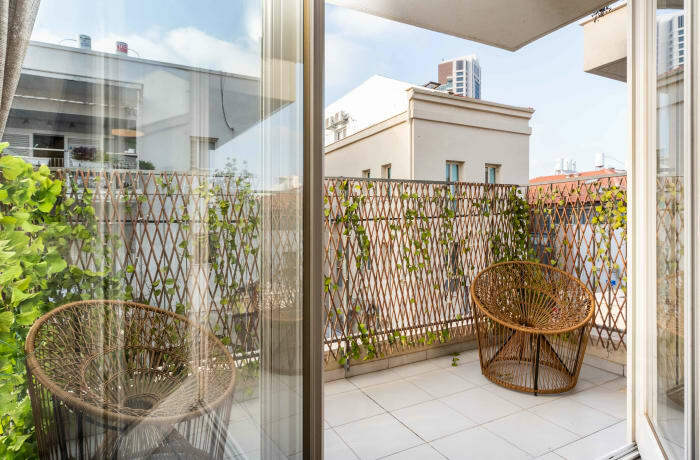 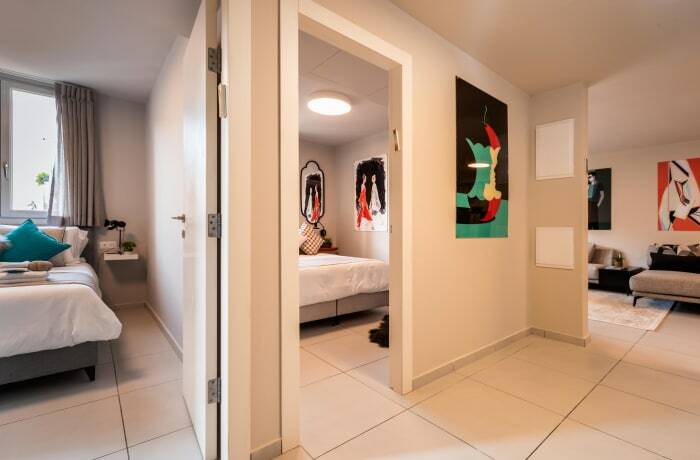 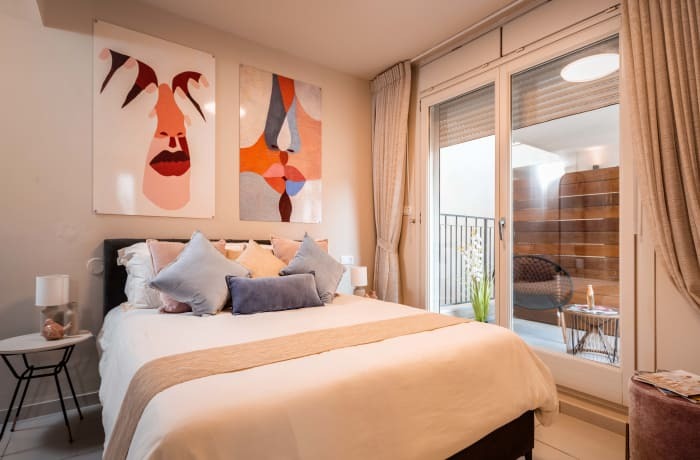 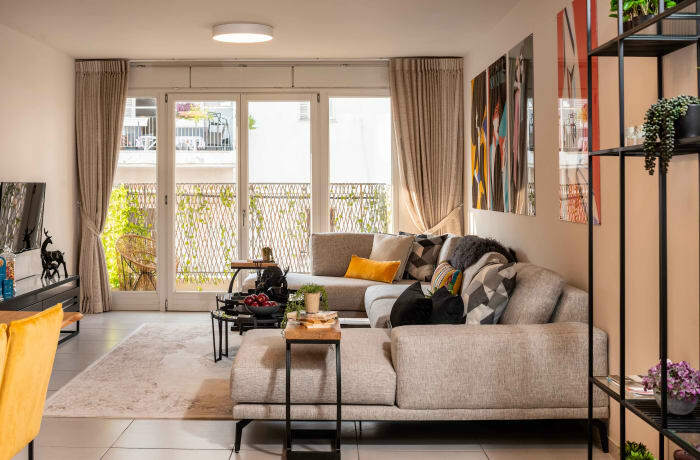 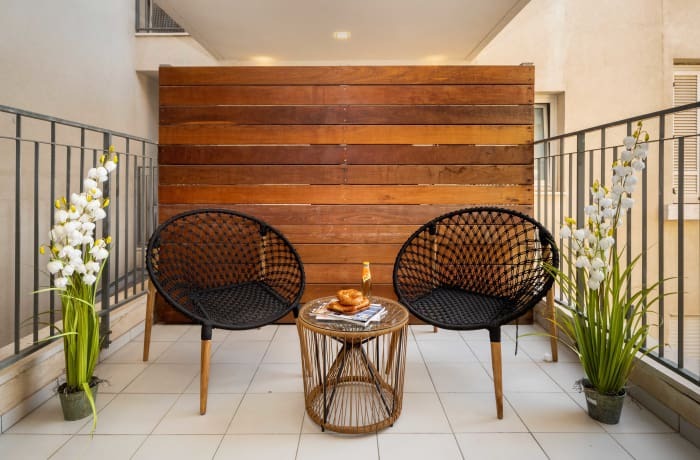 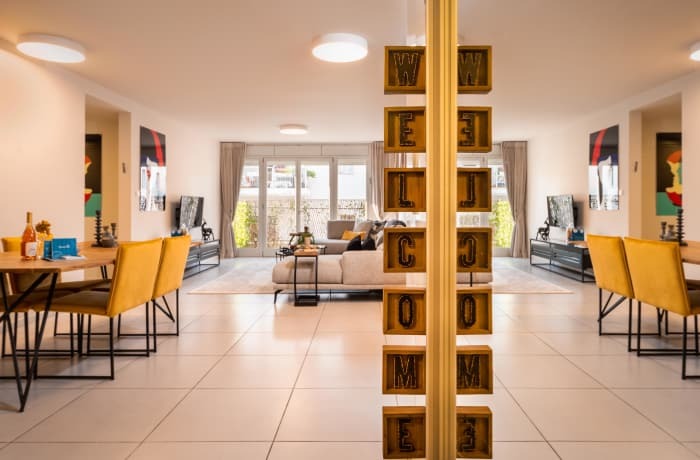 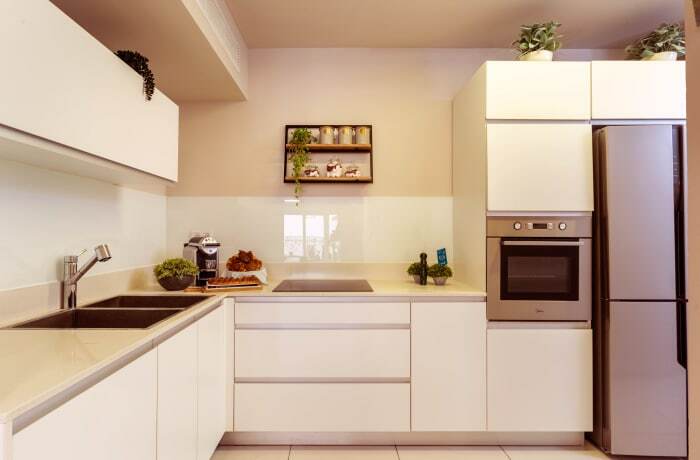 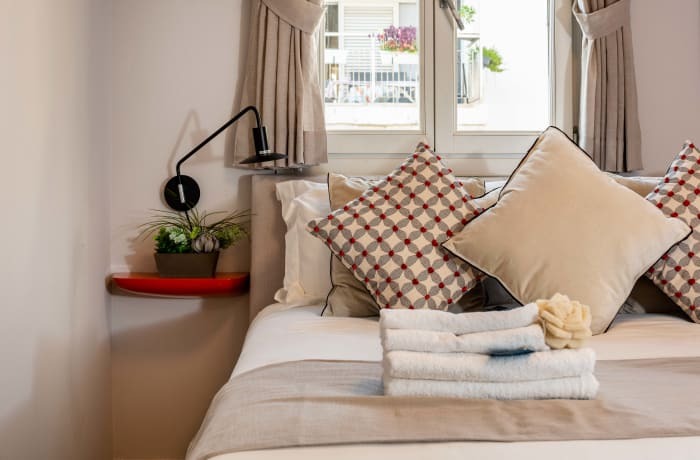 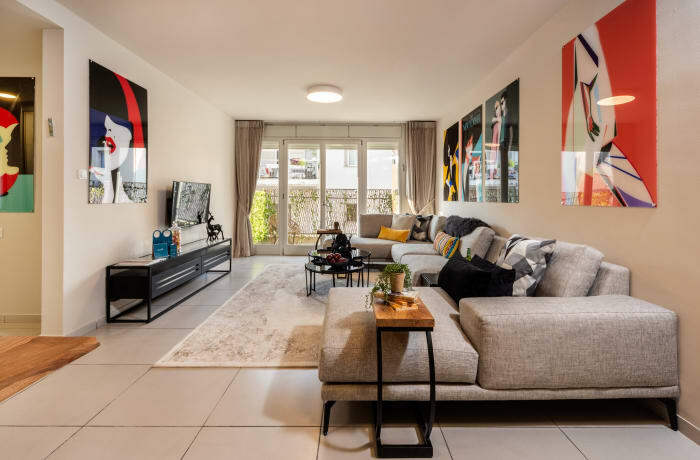 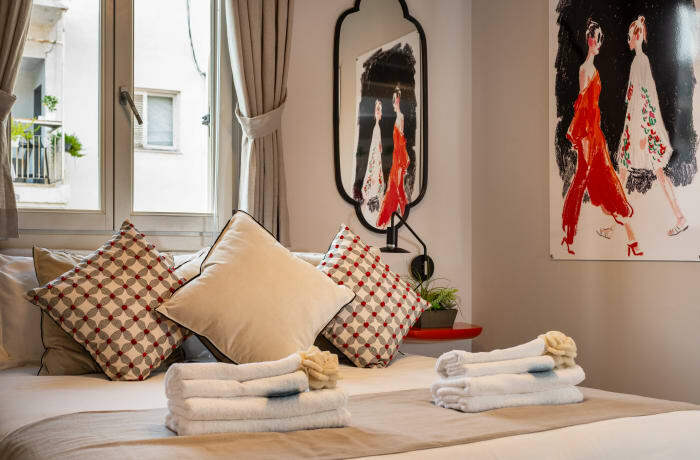 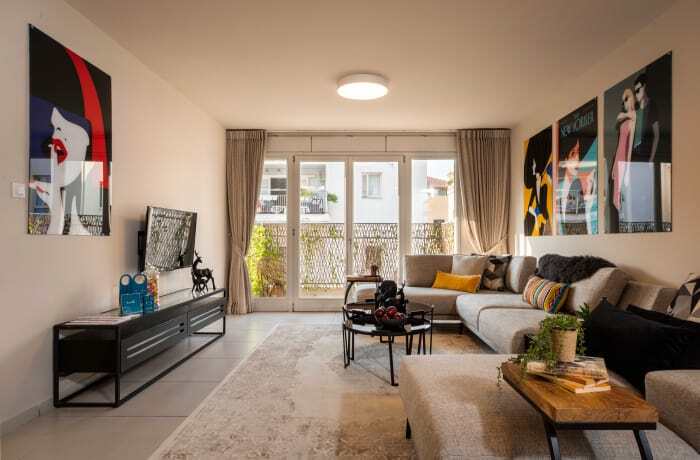 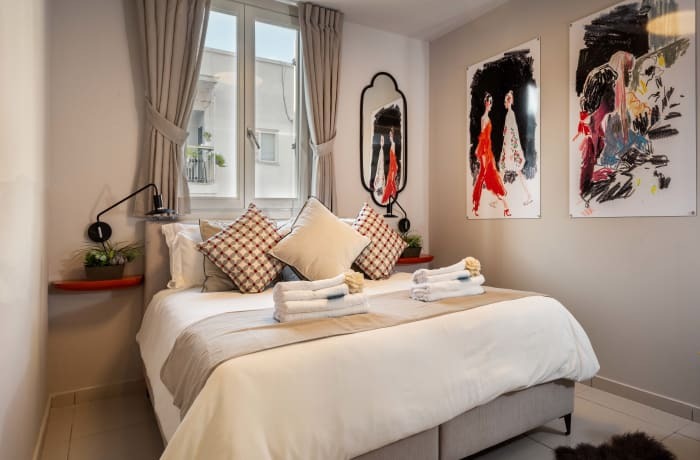 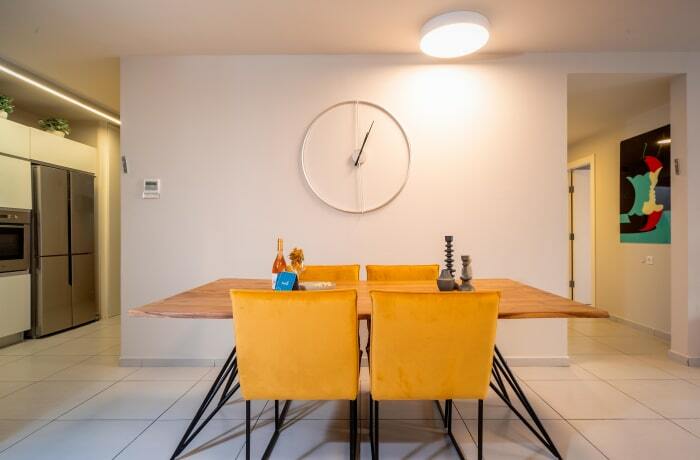 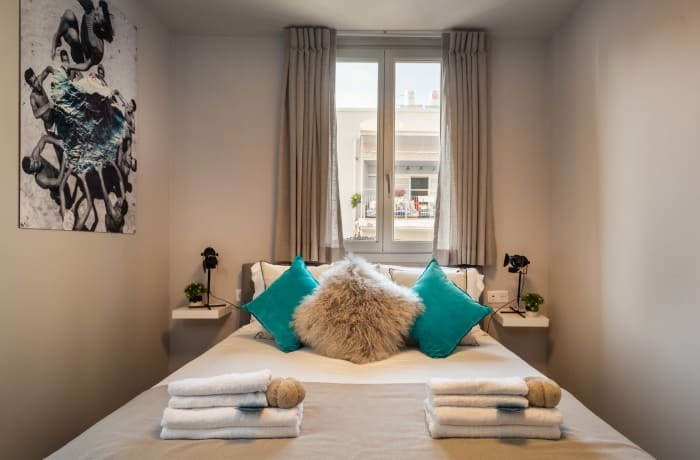 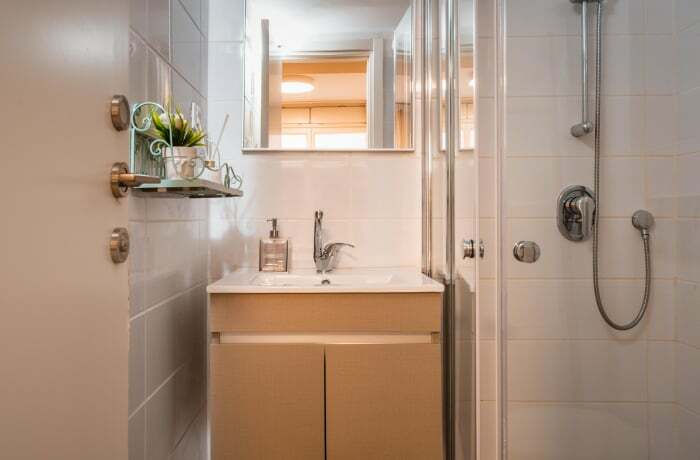 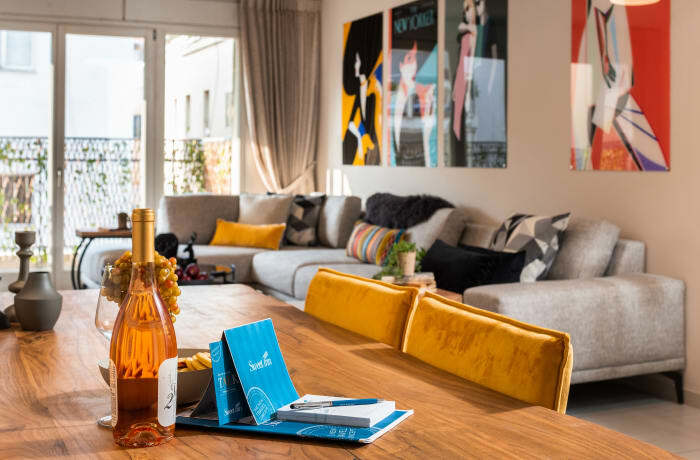 Situated in the artistic Neve Tzedek neighborhood, the 3-bedroom Shabazy vacation apartment offers a chic, modern space in an ideal location. 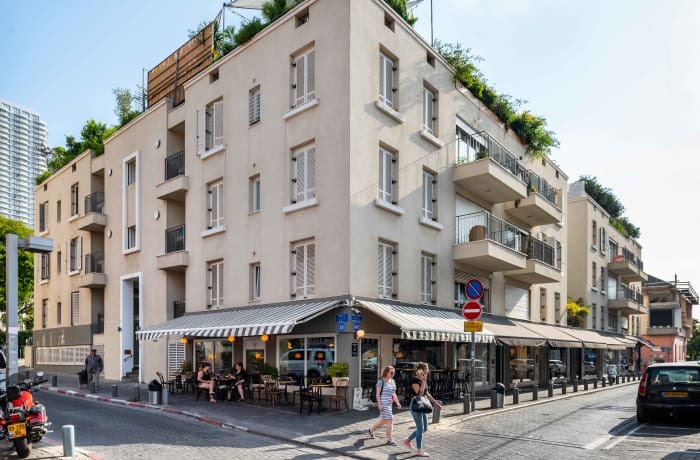 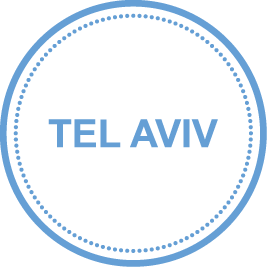 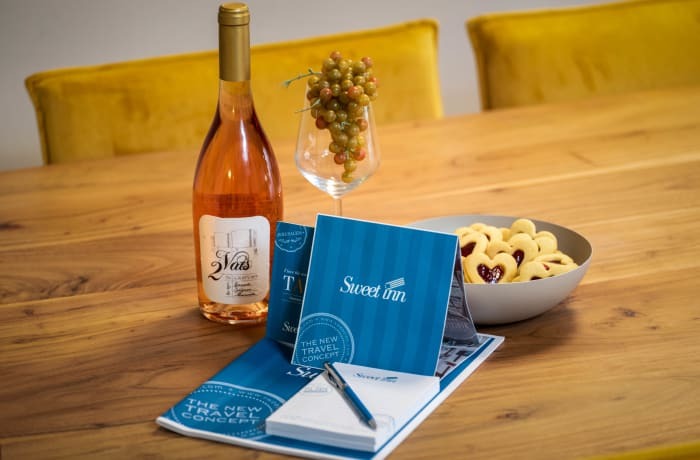 A plethora of bars, restaurants, and shops are at your doorstep, and you’re around the corner from the famed Suzanne Dellal Dance Center (5 min), the Great Synagogue (10 min) and the Carmel Market (10 min). 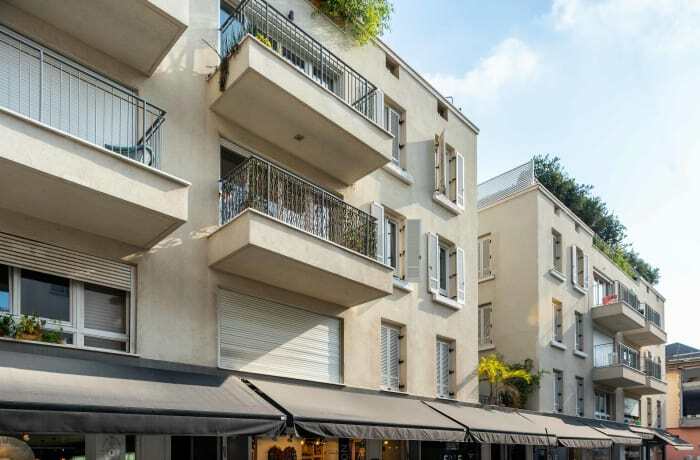 Buses are just down the street (5 min). 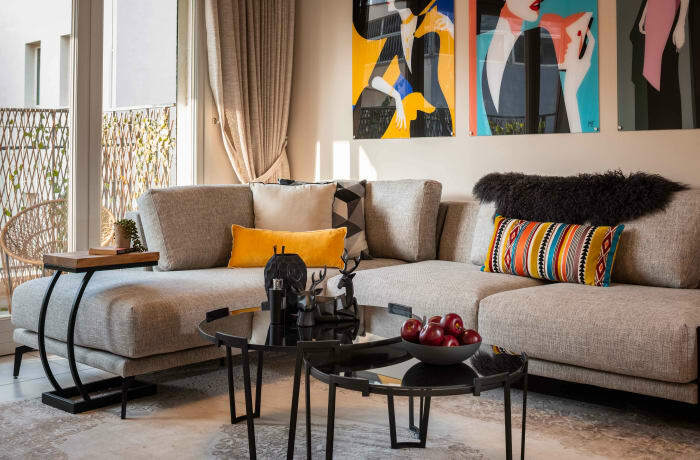 Perfect for families or groups of friends, this comfortable space will make you wish you never had to leave!